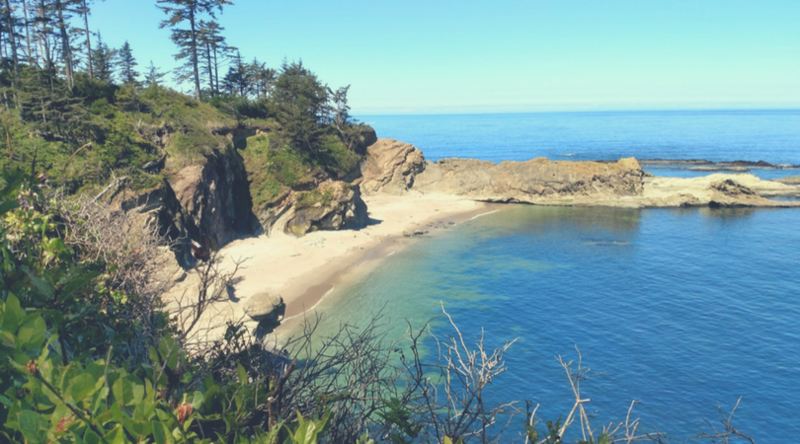 I recently went on a road trip to beautiful Oregon with my family and between the long hours of driving, hiking and dining out, my body started to feel sluggish and out of whack. Even with exercise and water, I still felt ‘off’. 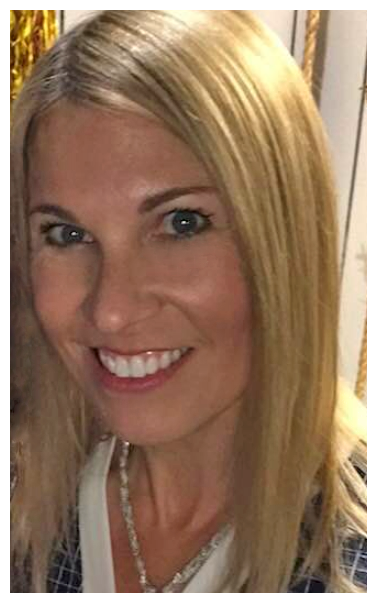 I realized that in my haste to leave at 4 A.M. on departure day, I had forgotten to pack probiotics to keep my digestive system healthy and in check. No wonder I was feeling so lousy! Probiotics are “good” bacteria that naturally exist in cultured or fermented foods (like yogurt and certain cheeses) that offer benefits for your digestive system. They crowd out unwanted organisms and allow more of the “good” bacteria to be present in your gut. 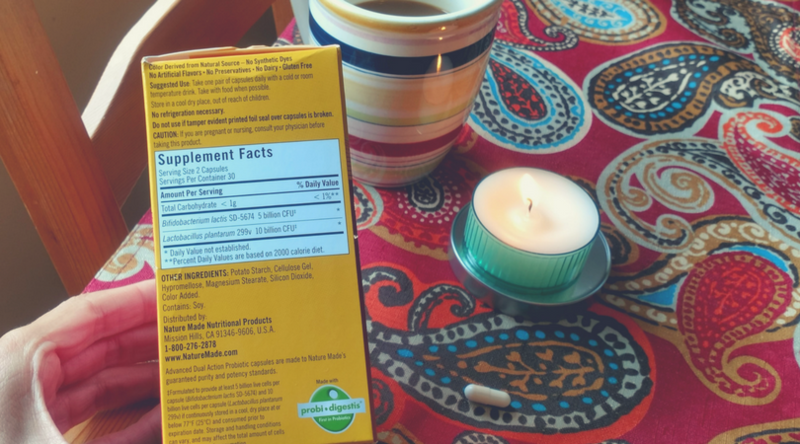 Thankfully, Walmart stores are found in most towns across the United States, so I was able to pick up a box of Nature Made® Advanced Dual Action Probiotics and at a Walmart’s Trusted Every Day Low Price! 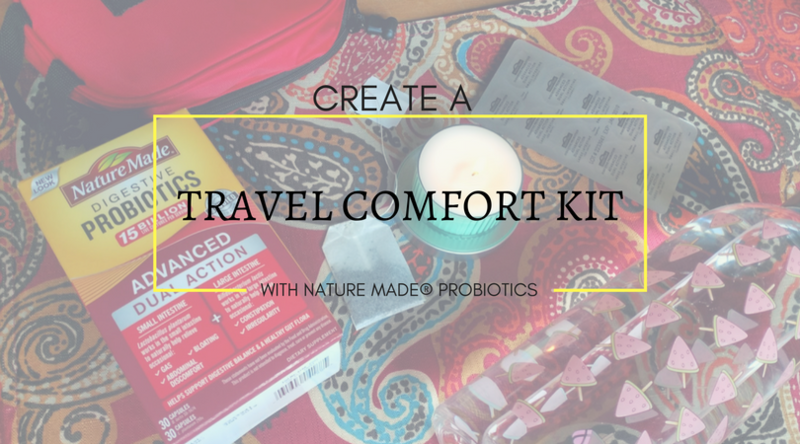 Typically I pack probiotics and a few other small items that add extra comfort to my ‘life on the road.’ Here are a few suggested items to pack that don’t take up a lot of luggage space. Not only is this an eco-friendly solution to keeping hydrated, but many hotels offer fresh water in the hotel lobby next to the coffee station. Fill up with free water when possible and save yourself from buying costly bottles! Hydration is also important to our body’s health, so make sure to keep up on your daily water intake! Hotel rooms will often stock with morning coffee, but they don’t always provide tea. I like to pack a few different varieties of tea such as herbal green tea, flavored fruit teas, and black teas. This way I can make myself a nice cup of hot herbal tea before bed in my hotel room, or a fruit tea to chill and take on the road. Hotel noise is sometimes inevitable, whether it be noise from stairwells, elevators, ice machines, busy roads or loud neighbors with blaring TVs. The simplest solution is a squishy set of comfortable foam ear plugs. They block out a considerable amount of noise and allow you to get a great night’s rest. I am very sensitive to smells. So much so, that if a hotel room smells funky, I actually can’t sleep. A satchel soaked in lavender oil is a great item to keep in a little plastic baggy while traveling. Open and then place near your nightstand to make the air around your space smell good. I like lavender because it’s a calming scent to me, but any essential oils that smell good to you would be great. I also like to bring small scented travel candles with me to freshen up a room that may have smoke or pet smells in it. If a hotel has a specific policy notice to not use candles, then don’t do it. However, with responsible use, it’s perfectly OK (especially in roomier vacation rentals). Make sure to place a small candle in an open aerated space, and place it on a fire safe surface like a granite or a metal counter as candles can get hot. Most importantly – never leave a candle unattended! Scented candles are effective in filling larger spaces with fragrant air and will help hide the odors of Fido past! 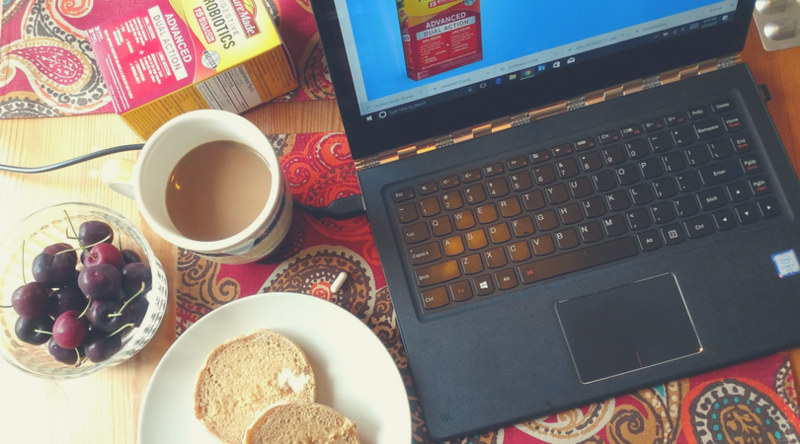 Probiotics will keep your digestive system on track while traveling on the road. 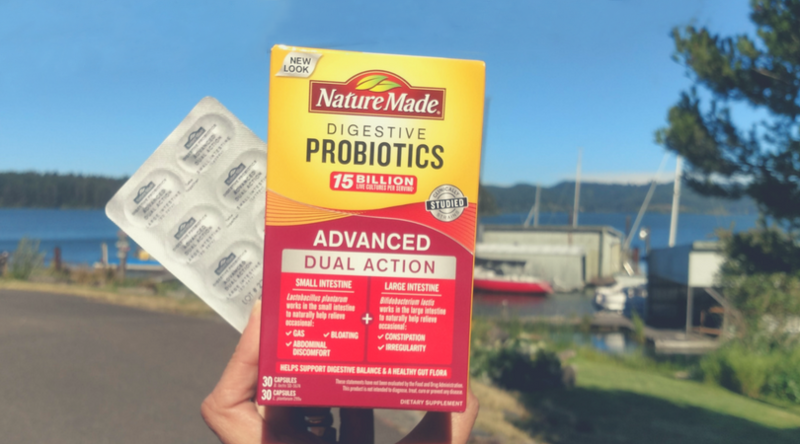 Unlike most single strain probiotics, Nature Made® Advanced Dual Action delivers the “good” bacteria your body needs in both the small and large intestines – giving you and your family members more comprehensive digestive coverage. The Advanced Dual Action Probiotic comprises of two probiotic strains, each strain’s function and the symptoms each of the strains relieves as noted on the label. Nature Made® Advanced Dual Action Probiotics is also serious about quality. Their products are made to the highest quality standards to ensure purity and safety. 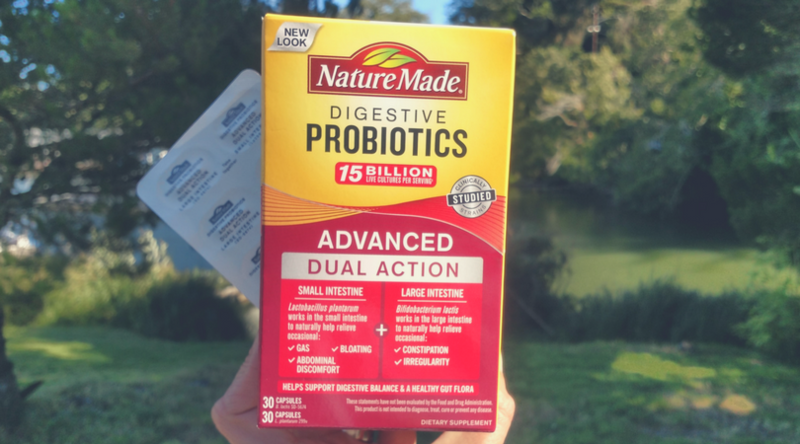 The Nature Made® Advanced Dual Action Probiotics come individually wrapped to maximize potency and deliver more digestive tract coverage than most other single strain products. 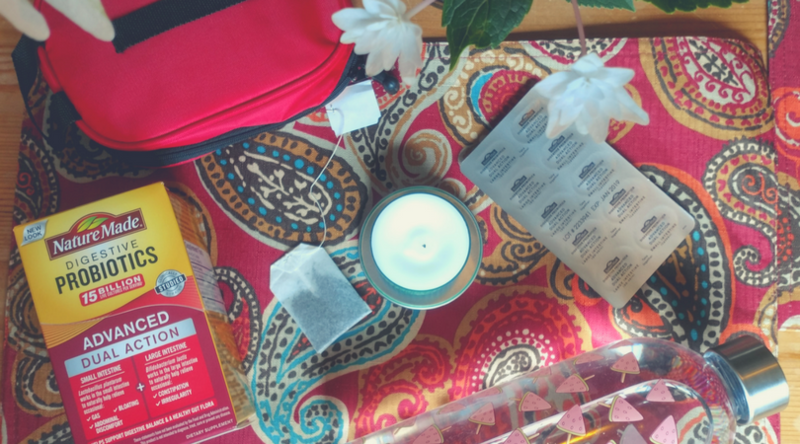 The individually wrapped packets are also flat and super easy to pack in a purse or toiletry case. To learn more about how Nature Made Probiotics work, click here. 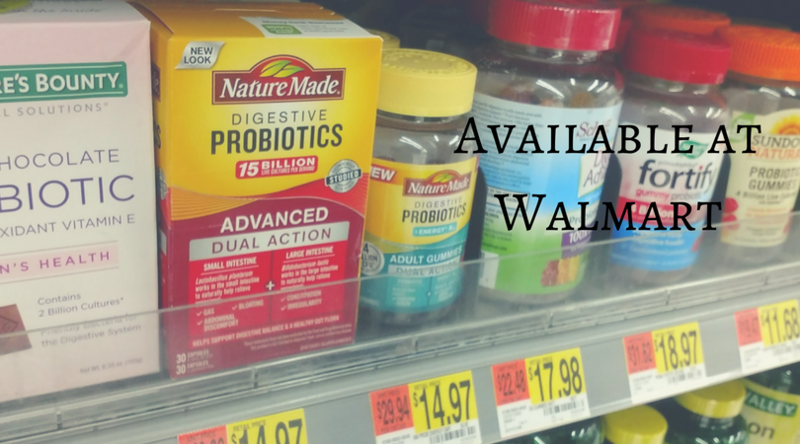 I am so thankful I was able to find Nature Made® Advanced Dual Action Probiotics at Walmart while on my road trip. 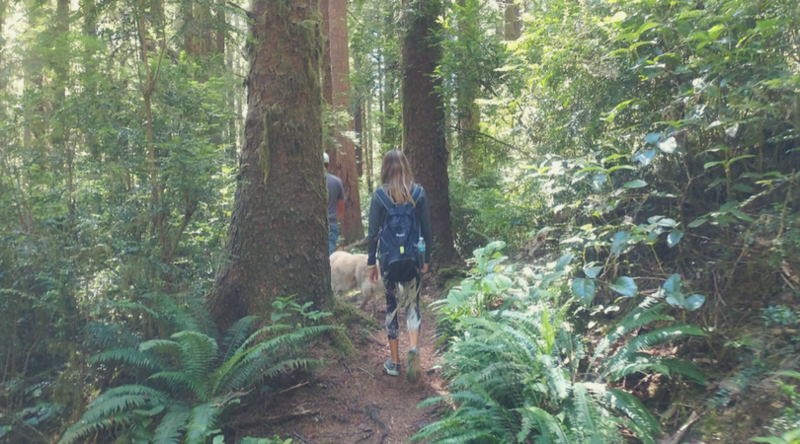 I was able to get back on track with my digestive health and enjoy all the wonderful beauty that Oregon has to offer. Rosehips for Healthy Hips? Yes!